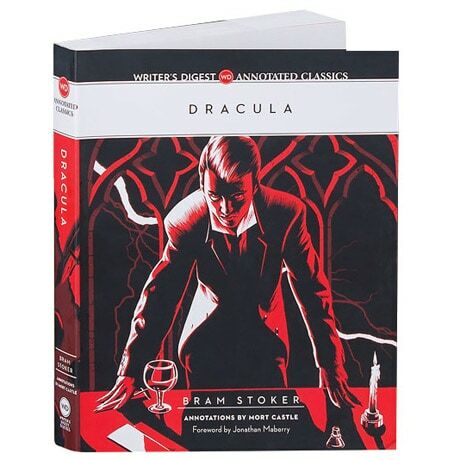 First published in 1897, Bram Stoker's iconic and genuinely creepy vampire story is told through the diaries and letters of young solicitor Jonathan Harker and his friends and associates, including Abraham Van Helsing, a brilliant Amsterdam physician already acquainted with vampire lore. Harker first encounters Count Dracula when he travels to a castle in Transylvania, but although Harker escapes, Dracula follows him back to England to terrorize him and his wife Mina. For this Writer's Digest edition, Bram Stoker Award winner Mort Castle provides hundreds of annotations, highlighting the literary merits of a horror classic all-too-often overshadowed by its movie adaptations. The book also includes a study guide, writing prompts for aspiring authors, and a brief overview of epistolary style, featuring letters by Arthur Rimbaud, W.A. Mozart, and Franz Liszt.